This month we’re laughing at noise, from sound to speech to all those extraneous things that make it harder to work out what the hell is going on out there. 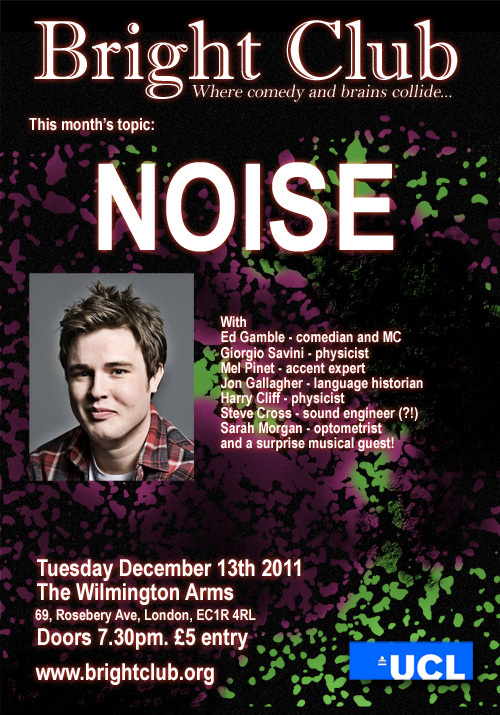 Ringmaster tonight is Ed Gamble, the noisiest man we could find. Tickets are £5, Doors are 7.30pm and it’s all at the Wilmington Arms. See you there! New Years Eve is always rubbish, isn’t it? Pubs cost a fortune, there’s nothing good on and the music is terrible. 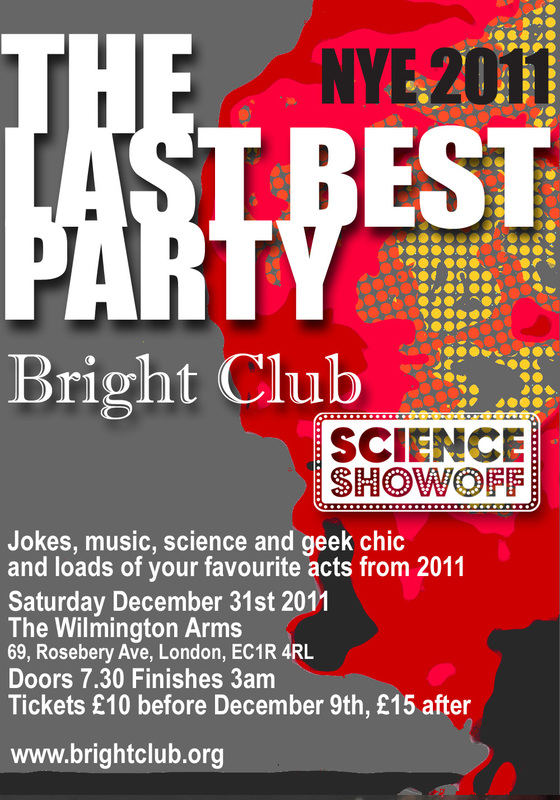 The producers of Bright Club, Science Showoff and other great shows bring you a night of hilarious brainy antics, with loads of your favourite acts from throughout 2011. We’ll have music, laughs, anarchy and we’re taking over the whole of the WIlmington Arms, which gives us a great big room to drink, chat and do terrific geeky things together. Artists appearing include Helen Keen (Radio 4), Steve Hall (begrudgingly BBC3), Strawberry’s Hogmanay Karaoke (Green Man Festival), Steve Cross (in front of mirror with hairbrush) and loads more. More details will appear here as we confirm acts. 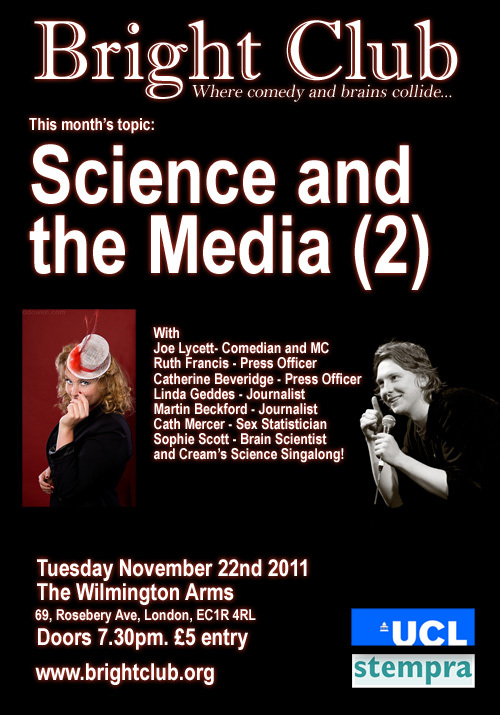 WE STRONGLY ENCOURAGE YOU TO COME IN SCIENCE-THEMED FANCY DRESS! The world’s going to end in 2012. You might as well enjoy at least one New Year’s Eve before it goes Kaboom! Early bird tickets (before December 9th) are only £10. After that the price goes up to £15 each.